The NCAA basketball National Championship was held Monday night, which means that futures for next year’s national champion are already live. 888sport quickly got odds out for the 2019-2020 college basketball season, and the usual suspects are leading the way during the first round of next year’s NCAA basketball betting. Defending national champions Virginia opened at 888sport as the co-favorite going into the 2019-2020 season, tied with Kentucky at +700. However, the lines have since shifted to make Kentucky the sole favorite at +650. Only two other teams have odds under +1000. That would be Duke and Michigan State, both tied at +800. Trailing Michigan State is in-state rival Michigan at +1200. Gonzaga and UNC are tied behind Michigan at +1400 and Villanova is +1500, rounding out the rest of the schools under +2000. Texas Tech, 2018-2019’s other finalist, can be found further down the pile, sitting at +3000. They’re tied with Auburn and Marquette. Just ahead of them are Arizona (+2000), Oregon (+2000), Louisville (+2200) and Kansas (+2200). The first American Athletic Conference team to appear on the odds is Houston, sitting at +4000 and tied with Florida State and Texas. From there, the odds begin to jump. Ohio State sits alone at +5000. The next group of teams are at +6000, like Purdue, which has the lowest odds of any Elite 8 team by a wide margin. Iowa and Iowa State also sit at +6000, as do Jim Boeheim’s Syracuse, Florida, and Cincinnati. Sweet 16 member LSU falls down the pile at +8000, tied with Georgetown, Creighton, Maryland, Memphis, Washington, and Xavier. The longest odds available are at +30000, being offered for teams like Notre Dame and Wichita State. Amusingly, not all teams that made the NCAA in 2019 are considered the longest of longshots. Teams like UCF, Wofford and Buffalo aren’t being offered at any odds. Odds are always fluid. We know this. Virginia stands to be one of the biggest movers of the offseason due to the uncertainty of their star players. It’s entirely possible the Cavaliers lose their entire starting lineup, which would cause odds to skyrocket. Texas Tech could also see a fair amount of movement, as none of their players have announced whether they wish to stay in college or head for the NBA draft. As the week goes on and more players declare for the draft, the odds will continue to shift until all players have declared one way or the other. Michigan State also stands to see their odds become significantly longer based on one player: Cassius Winston. Considered by many to be the best point guard in the NCAA, he hasn’t announced a decision one way or the other. Wolverine fans would love to see the back of him, Spartan fans would love him to win a natty first. On the other end of the spectrum, Duke’s odds will likely remain relatively stable. Zion Williamson leaving for the draft was a foregone conclusion before the season even started, but the Blue Devils will retain Tre Jones. RJ Barrett and Cam Reddish are very likely to go pro, but either or both returning would shorten odds. 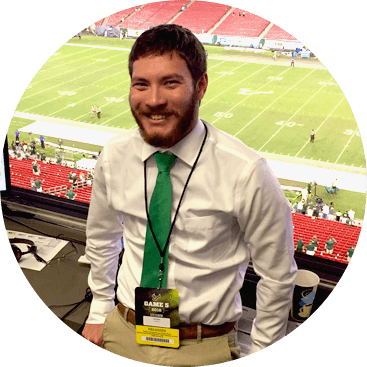 Carl Zee began covering sports through the SB Nation page The Daily Stampede, where he still covers USF soccer. As a member of the USF community, he’s also well-versed in non-power college football and basketball, following his alma mater and other related programs. Carl was a radio commentator during his time in college, broadcasting various USF athletics events and hosting various sport-related studio shows. Carl is also a member of the Tampa soccer community, following the local USL team Tampa Bay Rowdies. As a soccer writer, he’s follows all levels of soccer, from NCAA athletics to European and American professional leagues and the World Cup.